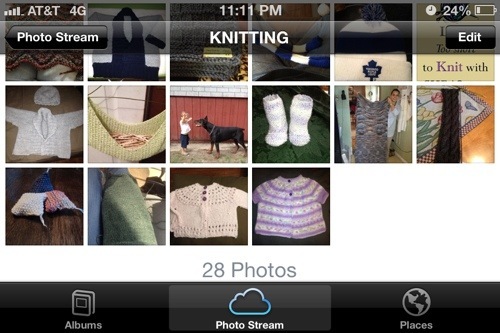 And after that, i had to FIND those two bay sweaters (omg lol). 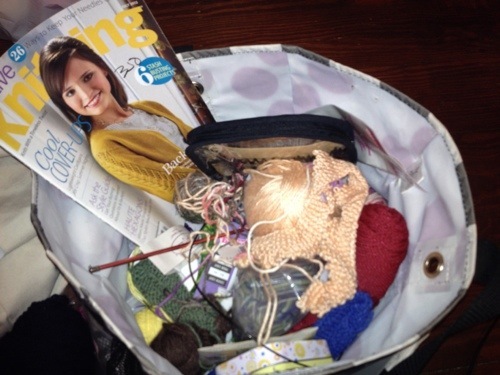 So I cleaned out my knitting bag aka, catch-all-things-that-have-to-do-with-knitting bag. 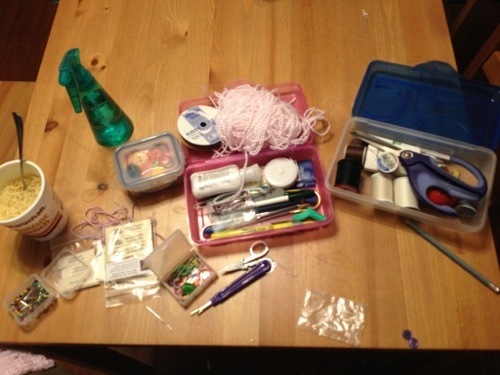 (See pic for the hot mess). 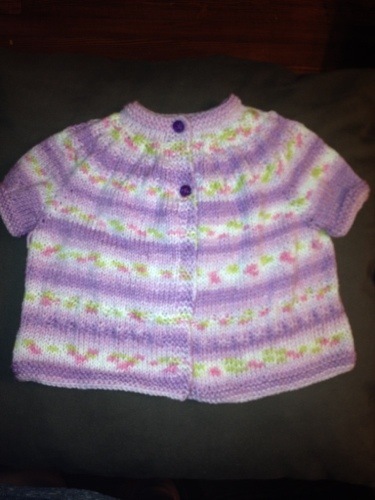 Quick cliff notes: I decided to take my yarn I really won’t be using again and donate it to the ladies at the hospital who would want to knit or Crochet the babies hats and such. 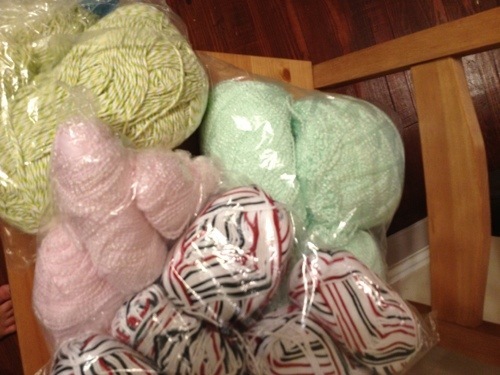 So that’s the pic with the bags of yarn. 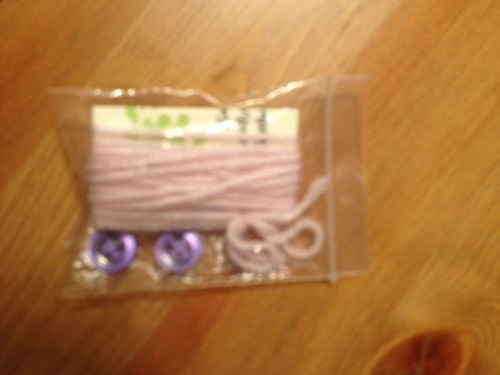 Also, I added to the purple striped sweater a little CARE KIT (I know, I know) with extra yarn that was used on in the sweater and two extra purple buttons and nearly tucked it in a little Baggie. 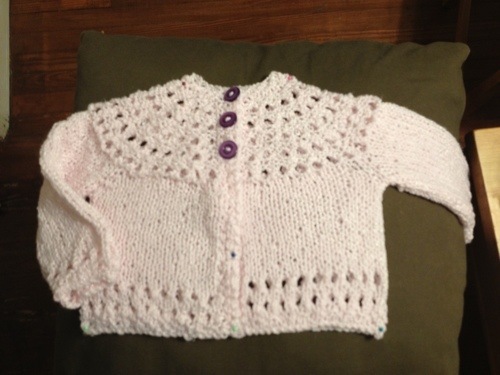 I hope to add those little touches to my knitted Garments for sale at the office. 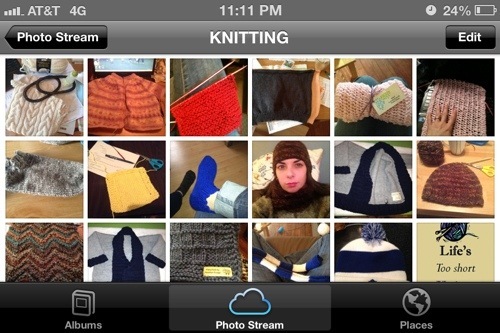 I have also included a pic of the photo stream album I created of my knitted work over the last two years (some things I can’t find pics of unfortunately). 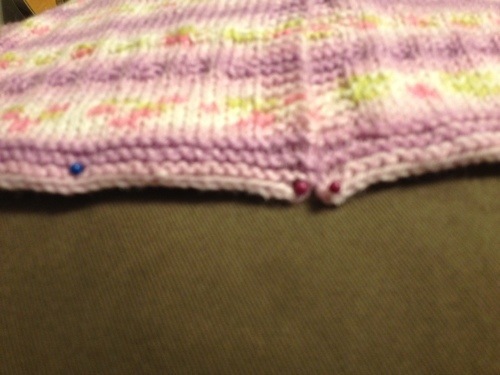 I also wet blocked the two sweaters to get a better shape in them. :). I’m so good tonight.